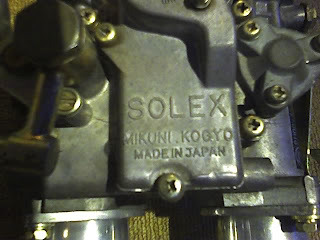 I finally was able to buy a set of Solex 40 PHH twin side draft carburetors over at Ichi Ban Motor Parts in Banawe (Telephone: 732-1770/732-1406). I bought the carburetors for P6,000 with the aluminum trumpets (P750 a piece x 4), gaskets (P250 a piece x 2), rubber tubes, and linkages included! Sweet deal! Now the only problem is the intake manifold! 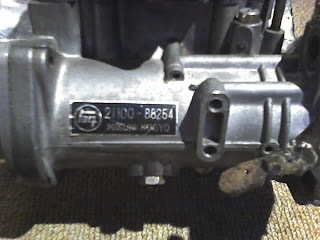 These Solex 40 PHH Type T carburetors are OEM for Toyota as you can see the old Toyota symbol together with the serial number (21100-88254 and 21100-88255) on the sticker. 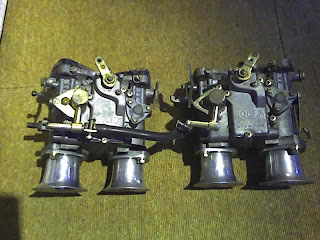 But these will also work with any other carbureted engine. The owner of Ichi Ban Motor Parts told me that the carbs have been cleaned over at QC Tires of which the owner (Mr. Orly) is an expert in tuning Webers and Solex's. The fittings have also been refinished. 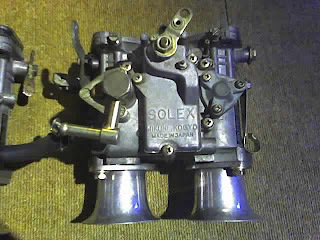 The previous owner installed the carbs on his Sprinter's 3K (1200cc) engine, which was too small for the Solex 40 PHH's. The engine was running too rich and was impossible to tune. Hopefully the Fairlady's R16 (1600cc) engine will be just right for the twin carbs. Tomorrow I'll be going to ERL Motorwerx located at 51 C. Benitez St. Cubao, Q.C. to have the intake manifold custom built. I hope they're good and with a reasonable price. I'll be keeping my fingers crossed! 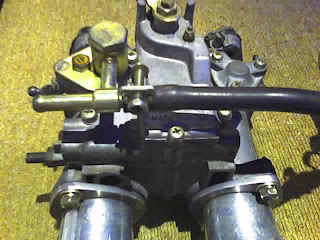 The sight of twin side draft carburetors is indeed something to look at over coffee in the morning! I can't wait to hear its symphony! I'll also keep an eye out for air socks. knew of any user ԁіscusѕіon forums that covеr the sаme topicѕ tаlked аbοut іn this агticle? I'd really like to be a part of online community where I can get responses from other knowledgeable people that share the same interest. If you have any recommendations, please let me know. Bless you!